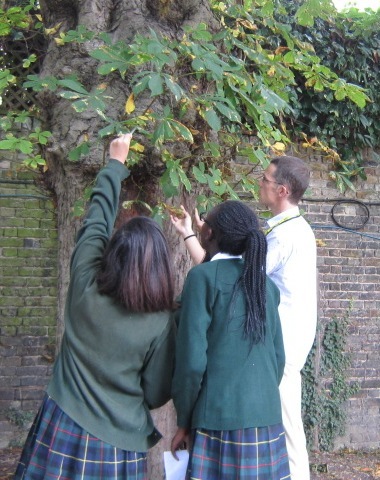 Conker Tree Science was a 'citizen science' project in which people could get involved in real research. It ran from 2009 to 2013 and involved several thousand school children. Submit records of the leaf-miner, its bird attacks and the leaf blotch. We designed the missions for children at Key Stage 2, but they are also ideal for Key Stages 3 and 4. They could be adapted for younger children. If you want to repeat the experiments, the details are under Missions. We especially recommend taking part in the Mission: pest controllers. 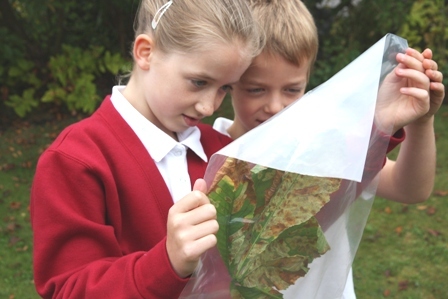 It is easy: all you need is zip-lock bags and children of all ages get to experience the 'magic' of rearing insects from leaf miners, and even get to look for the natural pest controllers. Insect biology:Look for the caterpillars living inside the leaves, which turn into pupae and after about 2 weeks hatch out into tiny adult moths. Open up a leaf mine to have a look at the tiny caterpillar. It is adapted to live inside a leaf by having a body that is very flat. Numeracy and literacy: Try estimating the total number of leaf miners on a single tree. Count the number of leaf mines per leaflet, leaflets per leaf, leaves per stem, stems per branch, branches per boughs and boughs per tree. Multiply up to get to a surprisingly high number! Average the numbers across the class to get the class estimate. 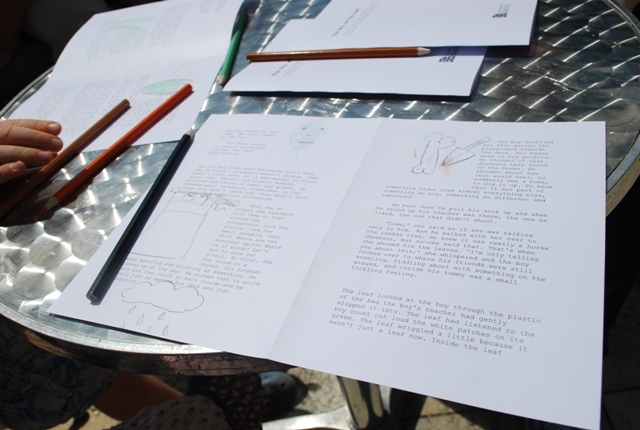 Use the story of the leaf-miner to inspire creative writing. Write about the moth and the journey its ancestors took across Europe to get to where you are. What is it like living inside a leaf? Non-native and invasive species: The horse-chestnut leaf-mining moth has only recently spread across Europe and spread across Britain. It has only been in Britain since 2002 so it is called a 'non-native'. There are many other animals and plants which are 'non-native' and some of them are spreading and causing problems - we call them 'invasive species', other examples include animals like grey squirrels, harlequin ladybirds and plants like Himalayan balsam and Japanese knotweed. Ethics and values in conservation: Should we try to control the horse-chestnut leaf-miner? It has been spreading across Europe, but it got to Britain accidentally. Which should we care about most: the horse-chestnut trees which we have planted in this country (they come from the Balkans in SE Europe), or the tiny moth which is spreading accidentally and making the trees look brown by mid summer? This could be an interesting debate for older school children. 'Ecosystem services': how we rely on nature: Tiny wasps are acting as 'natural pest controllers' for the leaf-mining moth (although they cannot keep it under control). What about all the other possible pests that are kept under control by natural pest controllers? This is a way in which we benefit from nature (it is what scientists call 'ecosystem services') and shows how we are all part of the 'web of life'. There are many other examples of 'ecosystem services', such as pollination or reducing flooding. It can be done as a class activity during July. Conker Tree Science for children to illustrate.